A registered charity, which has reached out to Linlithgow’s most vulnerable people for four decades, has lost its local authority funding. 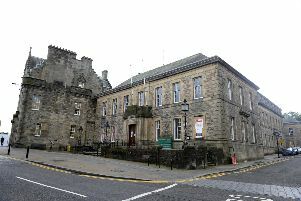 Linlithgow Link applied for its annual grant with the realistic expectation that this would be slashed by 30 per cent. Instead West Lothian Council withdrew its funding in its entirety citing its need to balance its books under cuts to local government funding. And it stressed that it had to do likewise with a number of other organisations. The bombshell means that the help Link gives to other organisations like the Caring Cafe for dementia patients, and the Tuesday Group for the housebound, will simply have to be withdrawn. A lifeline befriending network will also be affected by the decision. LL admits it has the means to continue for another year – but looks like being forced into wounding down thereafter. Appalled co-ordinator Margaret MacTavish has now written to the man, who chaired the decision-making body, WLC’s head of planning, Economic Regeneration and Planning, Craig McCorrison. Reminding him that the group had won The Queen’s Award for Voluntary Service, she stated: “We wholly appreciate the financial difficulties the council were in especially as we looked at the figures for savings but the brutal decision came as a shock. “The meetings that took place between a council officer and our co-ordinators were difficult but did leave them with the impression that it was unlikely that this could be the outcome. “It needs to be made clear to the council that this decision will affect volunteering in Linlithgow and the surrounding area. A council spokesperson said: “The total funds applied for by groups totalled over £1.6 million, which is significantly above the council’s budget for this year and next year. “We asked an independent panel to consider all voluntary applications to allocate the £944,000 to organisations who applied for the grant funding. “They assessed each application and made their decision based on which applications had the greatest impact and were most aligned to the council’s priorities. “We understand that some organisations will be disappointed with their allocation; however the council has less money to spend than in previous years. “We have made the organisation aware of the outcome of the applications and outlined alternative support available to them.